Shipped - When your item has been dispatched. Royal Mail 48 - Our standard postage. Which is 1-2 days once dispatched. Royal Mail 24 -You would need to pay extra for this service. Which is 1 day once dispatched. Parcel Force 24 - Our standard postage for Parcels. Which is 1-2 days once dispatched. Hermes - Some Items are sent via Hermes courier which is 3-5 days. Please note - The time scales are given by the postal companies, they are not guranteed services. The 24 postal service is not guaranteed next day delivery but they do have a high success rate. This is unfortunately down to the postal company and we can not take responsibility for this once the order has been shipped. A small number of items due to the size and weight start from £6.95 Postage. This will dis-allow the 'free postage'. Some order postage costs are worked out based on are post codes and non postcode areas such as Ireland. This will dis-allow the 'free postage'. All postage costs are shown at the checkout before completing your payment. Please make sure you are happy to pay them before completing your order. To add 24hr postage to your order you can select it at the checkout. Please note; 24hr postage only applies once your item is shipped. It does not fast track your order being processed and is not guaranteed next day delivery. Laser Craft Shapes are happy to combine postage costs to keep them as low as possible. We also allow local customers to collect, Please let us know if you would like to collect and when you will be collecting so we can make sure your order is ready. We like to be environmentally friendly as much as possible so to do this we may use reclaimed and recycled materials to pack our orders. This not only helps the enviroment but also helps us to keep costs down for both ourselves and our customers packaging. We also recommend that customers re-use our packaging if possible, to help recycle and protect the environment. Please be aware that our dispatch time relates to the time it takes from when your payment is made to your order then being picked & packed, then finally dispatched with royal mail or parcel company, depending on the size of your order. This does not mean you will receive it within the stated timescale. Once your order has been dispatched, the estimated time scales are then down to Royal mail and Parcel Couriers, we can not be held responsible for their delivery times. All orders under 1 kilo are dispatched with royal mail 48hr business tracking. Due to the high postage costs of parcels over 1 kilo we are unable to use royal mail for these orders. Therefore these orders are dispatched with a parcel company which may take longer to arrive to you than royal mail parcels. Please note that we do not make any profit on postage and try to keep costs as low as possible, always happy to combine postage where ever possible. In order to keep costs low and protect our Environment caused by pollution in transit, we may bulk dispatch parcels on the same day, this could result in your order being dispatched a day or two later than the currently advertised estimated dispatch time. If you would like to add to your current order then you will need to place an order as normal and then add a note at the checkout to combine with your current order. Try to include your current order number so we can find it straight away. As long as your current order has not been shipped then we can combine them and refund postage once shipped. Please note, this may delay your current order at busy times by adding other orders to it. If your current order has been dispatched or we feel it will delay the order to long by combining them then we will not combine the orders even if you have requested them to be combined. This means you will not receive a postage refund. If for any reason you dont receive your postage refund when you receive your order then just pop us a message or give us a call and we can take a look for you to find out why or to issue your refund through Paypal. We reserve the right to change the way we calculate our postage at any time. Due to postage being beyond our control customers should allow for an additional two days before raising a complaint of missing items. Then we will look into your claim and resolve any issues. By placing an order with us you agree to the terms and conditions set out above. 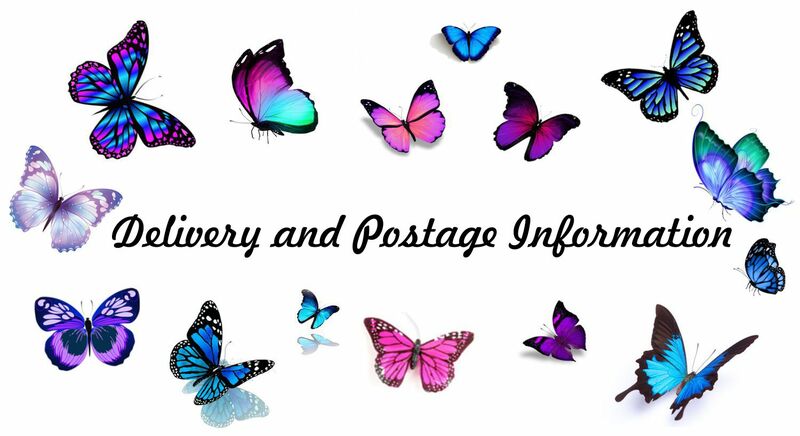 If you have any issues with any of the topics highlighted in our Postage & Packaging please get in contact with us for free by using are online contact form, We look forward to doing business with you.